The push-pull Class DEodd (also called CMCD) PA has a rather long and interesting history, dating back to patent No. US2579374 issued to Donald V. Edwards (Figure 1). The year was 1947, the same year as the invention of the bipolar transistor. 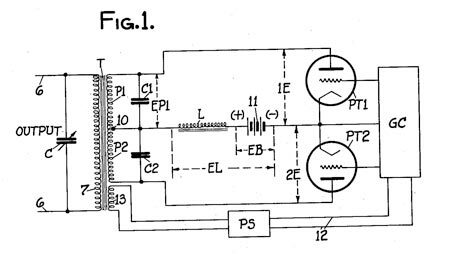 Edwards mainly intended his teachings to be used as a self oscillating high efficiency power converter, but described an amplifier version in his drawings. Later, his basic circuit, using the rather slow Silicon bipolar parts of the day, saw widespread use in the early days of electronic fluorescent ballasts manufactured by Triad-Utrad/Magnetic (now Universal Lighting), Philips/Advance and others. Millions of these ballasts were produced roughly from 1977 through today configured as a power oscillator. As Vertical MOSFET technology improved, and dropped in price, the Edwards Converter slowly diminished its volume in the lighting market. In 1975 Nathan Sokal invented the Class E Converter, and taught the world the concept of the 100% efficient RF power amplifier in a novel, elegant single ended form . Since then many researchers have invented, or at least reinvented, many other classes and subclasses of high efficiency PAs. The search for even more such classes continues today, mainly driven by the continuously exploding wireless market in the GHz range. 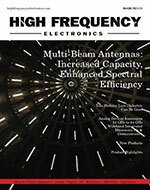 This article is directed to the other end of the RF spectrum, that being below 30 MHz. This encompasses the LF (Low Frequency), MF (Medium Frequency), and HF (High Frequency) ranges which contain many communications bands and several important ISM frequencies used for plasma processing, medical cautery, plastic sealing, wireless power transfer, resin curing and so forth. 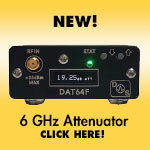 Such applications normally require output powers of several 10’s to many 1000’s of watts. The switching devices used most in such applications are either low-cost Switchmode Vertical MOSFETS, or very rugged, high dissipation RF-designed MOSFETS whose performance comes at a price. Both types of devices normally operate from 100 to 300 VDC to provide high load impedance and thus lower passive component losses. Figure 1 • Edwards Converter using vacuum tubes, copy of the front page of patent. Fig. 2a shows the basic circuit of such a 100 Watt-class PA, at 1.356 MHz, Vcc=100V, QLOAD =7, wherein the output filter is a simple parallel-tuned circuit which provides the needed open at the fundamental frequency and near short at odd harmonics. Fig. 2b shows the simulated switch I and V waveforms with a perfectly matched load, Fig.2c shows switch I and V at a point on a 3:1 VSWR circle: 300-J400 ohms. Perfectly matched, the circuit operates at high efficiency ZVS during turn-on and turn-off with square wave current. At the 3:1 point ZVS is totally lost and the current waveforms become a switch disaster waiting to happen! Figure 2a. • Basic Simulation Circuit without a matching transformer and without any diodes into 500 Ω. The VSWR is 1:1. 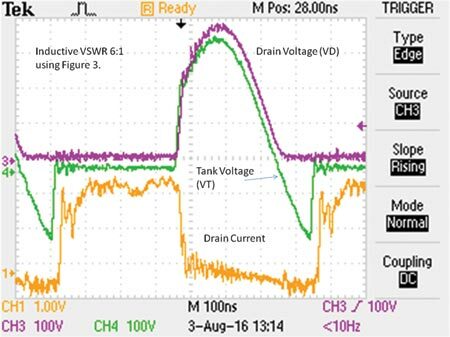 Figure 2b • Simulation waveforms with Drain Voltage, Vt, in Black and Drain Current, Id, in Blue for the ideal circuit with a VSWR 1:1 the load is 500 Ω. Figure 2c. • This is a simulation of the basic circuit, shown in Figure 2, without any diodes, driving into a capacitive 3:1 load. 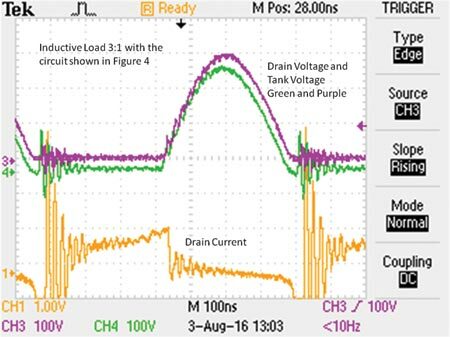 The black trace is the Vt Tank Voltage and MOSFET Drain Voltage, the blue trace with spikes is the Id Drain Current, exceeding 45 Amps. Zload = 300-J400 Series: (Y = .0012 - B.0016 parallel equivalent) added tank reactance Xc is 1/0.0016= -J625. we find 188 pf has been added in parallel with the tank resulting in its resonant frequency dropping to 1.287 MHz, or a period of 777 nS (nanoseconds). The original period at 1.356 MHz was 737 nS. The difference is 39.5 nS meaning that the switchover from Q1 to Q2 conduction will be early by this amount, which is 19.3 degrees. The switchover occurs at 160.7˚ degrees not the desired 180˚. where C is the 1725 pF tank capacitor. Multiplying by frequency to get Watts dissipation, we get 12.6 watts per switch or over 25 watts switch loss for both FETs combined. The simulation in Fig 2c shows a narrow current spike that goes off the screen. Using our simplified FET model with 1.5 Ohms Rds-on about 45 amps peak can be expected. The 2nd loss mechanism is due to the FET switches conducting the tank current for the 19.3 degrees. The Off FET conducts via its Body diode, the On FET through its enhanced channel, with both in series. Substituting our values, SQRT(8uH/1.725nF) = 68 ohms. is about (5.4^2 x 1.5 ohm) x 19.3degrees / 360degrees = 2.4 Watts per FET. This does not include the forward body diode drop of the opposite FET. Taken together, the FETs see about 30 extra watts of dissipation. Similar commutation and loss issues occur at other load phase angles, such as when the Push-pull Class DEodd is exposed to an inductive VSWR. A word of caution about the body diode of Vertical MOSFETS is in order here: This “diode” is really a parasitic NPN transistor with its B-E junction more or less shorted by the manufacturing process. If current is sent through this or any PN junction “diode” it accumulates minority carriers which persist until natural recombination takes place. This takes typically between several hundreds of nSec and several uSec. If the FET is turned off into high dV/dT before recovery is complete, the body diode is subject to forced recovery, current crowding, high dissipation and possible failure. In the late 1990s Server power supplies began dying mysteriously under low load in the middle of the night in a circuit known as the phase-shifted ZVS converter due to this cause. The semiconductor manufacturers responded with FETs having Body Diode Trr (Reverse Recovery Time) times reduced by a factor of 5 or more compared to standard devices. (ref 3). While these “designer FETS” solved the Server problem at 250KHz, allowing body diode conduction in the MHz region remains a potential FET killer. Our first attempt was to take a lesson from D.V. Edwards and realize that tubes do not have a body diode or anti-parallel diode of any sort. A Cree “Zero Recovery” 1.7 A 600 V SiC Schottky diode was connected in series with each drain to prevent reverse current flow. 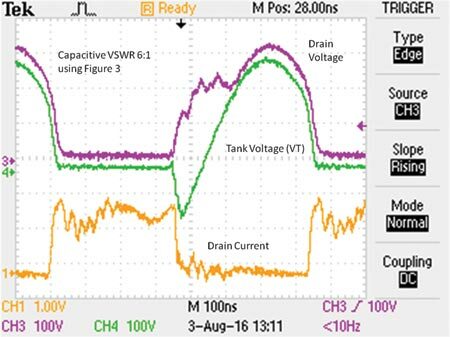 This improved the drain current waveforms under capacitive and inductive VSWRs, but efficiency dropped from to 91% to 82% at 1:1 VSWR. Given the 1.7 volt drop of the SiC diode, an efficiency drop under 2% was expected. = 0.5 x 60pF x 314^2 x 1.356E6 = 4.02 Watts/ FET, OR ~8 Watts for the converter. This was tested in simulation and on the bench. The simulation showed very near ZVS at 1:1 VSWR with our simplified FET model. At Vcc=25V, commutation as tested was ZVS but higher voltages drove the varactor-like Cds down, and we settled on 200 uH being a good empirical choice. The 1:1 VSWR efficiency increased to 89%, near that expected. 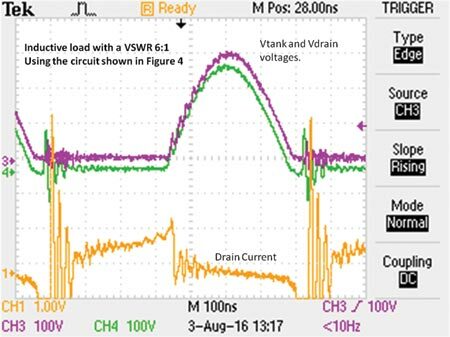 Capacitive and Inductive VSWRs at 3:1 provided low stress current waveforms, as did purely resistive VSWR. Our final solution is a bit “brute force” as shown in Fig 3. A secondary winding was added to the 200 uH commutating tank inductor that formed a 3:1 step-down transformer. By rectifying this and feeding the DC back to Vcc, a 3:1 energy recycling drain voltage clamp was formed. The 200uH commutating tank inductor consisted of 90 turns # 30 AWG on a Ferroxcube 4F1 I-core solenoid, 30 turns of #21 were overwrapped with a layer of Teflon tape as insulation. This secondary was connected to a diode full bridge consisting of 1.7 amp 600 V SiC diodes. This held the drain voltage below 350 Vpeak for any point on the 3:1 VSWR circle. Due to the 7.1 uH leakage inductance between primary and secondary, the clamping action is soft. 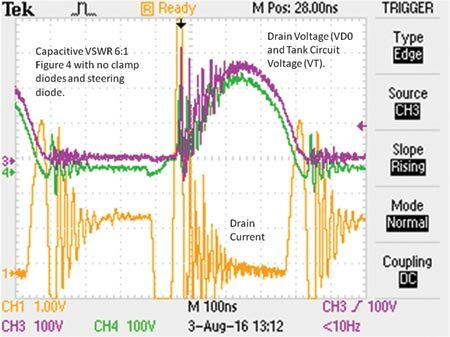 Higher reactive VSWRs create higher drain voltages and more current through the clamp winding. The drain current and voltage waveforms for 2 reactive points on the 3:1 VSWR circle are shown. In Figs 3a,b and Figs 4a,b we compare waveforms from our circuit in “a” figures, with Classic CMCD waveforms in “b” figures. In the caption below each waveform figure we provide measured efficiencies. In this final version we are satisfied with the clean current waveforms, and the efficiency improvements achieved. Figure 3a. Voltage and Current Waveforms for the circuit shown in Figure 3. The load is capacitive with a VSWR 3:1. Figure 3B. Voltage and current waveforms taken with a capacitive VSWR of 3:1 as shown in circuit of Figure 4. The final circuit was tested at 6:1 VSWR. Losses (as CDS energy) were greater due to FET switching occurring at higher voltage. The peak drain voltages also increased to roughly 420 V peak. This voltage increase must be considered when choosing switches using this circuit. Compared to the classic CMCD topology the low stress drain current waveforms are maintained, as shown in Figs 5a,b and Figs 6a,b. 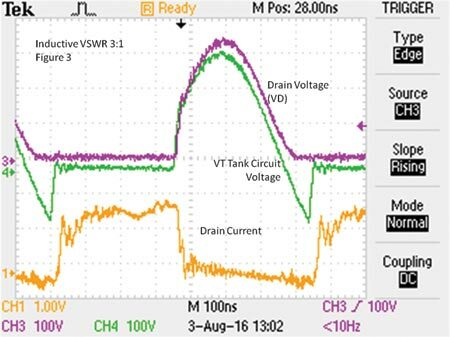 As purely resistive VSWR does not cause tank detuning and commutation mistiming, these waveforms are not presented. Practical implementations of the CMCD often include an inductor in series with the load to limit power with low load resistances or shorts. In such cases purely resistive VSWR will cause mistuning and commutation issues as presented above. The efficiency was measured for each of the four non-resistive loadings. The Efficiency Table is a summary of the results. Figure 4a • New circuit shown in Figure 3, with an inductive load and a VSWR 3:1. Figure 4b • Inductive Load with a VSWR 3:1 using the circuit shown in Figure 4. Please note the ringing since there are no drain diodes. 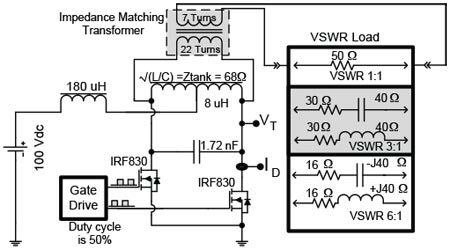 As an unexpected benefit, the final VSWR-tolerant CMCD converter can be driven with gate duty cycle in excess of 50%, or with large timing skew between FETs 1 and 2 gate drive. While the Classic CMCD Converter shorts out the Main Tank under these conditions, causing the two types of power/efficiency losses detailed above, the SiC diodes prevent this much like the TUBES in the Edwards Converter. Figure 5b. Capacitive VSWR 6:1 using Figure 4, classic CMCD: note the ringing. Figure 6a. This shows the voltage and current waveforms for an inductive load with a VSRW 6:1 using new circuit shown in Figure 3. Figure 6b. Inductive load with a VSWR 6:1 using the Classic CMCD shown in Figure 4. Please note the ringing since there are no steering or clamping diodes. It should be understood that at inductive and capacitive VSWR the final circuit does not achieve true ZVS at both turn-on and turn-off as it does with a non-reactive load. In the capacitive 3:1 VSWR example, the Cds remains charged to about 100 volts, and this energy is dissipated as heat. In the example circuit the power dissipation due to Cds (about 60 pF) was 0.432 Watts/FET. 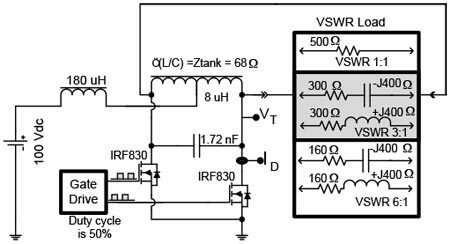 In contrast, the Classic CMCD swallows the ENTIRE stored tank energy in the 1725 pF tank capacitor for a loss of 12.4 W per FET. The implication of this is that this new circuit provides real benefits in a non-Cds-limited situation. Cds limitation occurs when most or all of the tank capacitance is the switch Cds, not in an external tank capacitor. This limits its use to below 30 MHz with current semiconductor technology. A more obvious limitation is supply voltage. At Vcc= 300V, the efficiency losses in the diode drops, Vf, are about 0.6%, rising to about 2% in our Vcc=100V example. Using this circuit at progressively lower Vcc levels incurs progressively higher losses. Another limitation is circuit complexity; we had hoped for a simpler solution. 6 SiC diodes are needed as well as a commutating inductor/transformer with tightly coupled windings. The distributed capacitance and leakage inductance limit maximum frequency. As to cost, it should be pointed out that the SiC diodes used in this circuit are usable with a Vcc up to 300V at 2 amps drain current, i.e. a 600 watt RF power supply. These diodes are $0.50 each in 5000 quantity, so we feel our goal of low BOM cost is met. In comparison, automatic load matching systems normally required are EXPENSIVE. In some applications we hope that our work may eliminate them entirely, or at least reduce their requirements and cost. 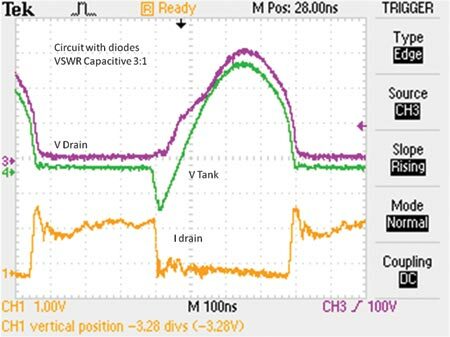 We designed, analyzed, and tested a CMCD RF amplifier, using diode networks and an added commutating tank circuit to increase transistor tolerance to load mismatch. We noted that peak current and dissipation due to impedance mismatches were reduced with this configuration. We hope that our work will inspire others to investigate this topology as an inexpensive means to achieve greater VSWR tolerance with low cost semiconductors. 4. Abbasian, Sadegh, “Radio Frequency Switch-Mode Power Amplifiers and Synchronous Rectifiers”, University of British Columbia, Oct 2015. 5. Panasonic Headquarters News Press Release, Sept 30, 2015. 6. Transform TPS30xxPK series GaN diodes datasheet. David Pacholok has operated Creative Electronic Consultants LLC since 1981. He has been involved in Switchmode Power Conversion, Electronic Lighting Ballasts, RF power, Pulse Power, and Induction heating. He can be reached @ 847-809-2786 (cell), 847-428-5676 (office), and at cecinduction@gmail.com. Paul Reich is a freelance consultant and ham radio operator living in the Chicago area. His specialties are radio frequency design and simulation. In a previous life, he held various positions at Motorola, Inc. and the Chamberlain Group. Paul earned his BSEE in 1976, from MSU, Bozeman, MT. Jim Spangler is President of Spangler Prototype Inc., an engineering consultation firm since 2009. Jim has been a Field Applications Engineer for nearly 30 years for Motorola Semiconductor, On Semiconductor, Cirrus Logic, and Active Semiconductor specializing in power electronics applications. Jim is involved with the several IEEE societies and PSMA planning the Applied Power Electronics Conference (APEC) for over 10 years. 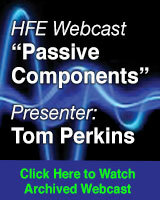 Jim has published many articles and conference papers for power electronics applications including Lighting Applications. Jim taught “Survey of Power Electronics” at Illinois Institute of Technology while in pursuit of his PhD. Jim can be reached at 847-961-8588 (cell) or jim.spangler@ieee.org and jim.spangler@spanglerprototype.com.